Perhaps not the most glamorous of subjects to tackle, but I know that dry skin conditions plague many friends of mine, and recently I myself have been suffering from the most random dry patches on the backs of my arms. They appeared inexplicably out of nowhere, almost overnight, and nothing I tried was making any difference whatsoever. Summertime is coming (or, at least, it's supposed to be) so we're all going to be showing off a bit more skin soon and I have the most beautiful strapless Bridesmaid dress that I will be slipping (squeezing) into in just over two months - so sorting out this problem became a top priority for me! I often see a lot of tweets regarding products that actually work for eczema, psoriasis, 'bobbly bits' and just for rough or dry skin in general - and these products have worked for me and can be used on the face and body - so I thought I would share. 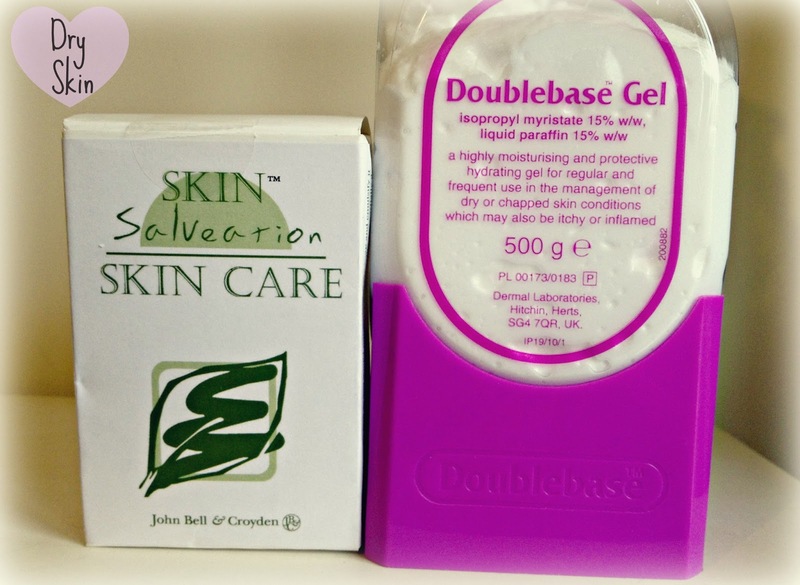 Doublebase Hydrating Gel Pump is billed as a highly moisturising and protective hydrating gel for regular and frequent use in the management of dry or chapped skin conditions. Used regularly, it helps restore the skin's smoothness, softness and flexibility by replacing lost moisture and helping the skin retain moisture. This helps reduce scaling, redness and itching. 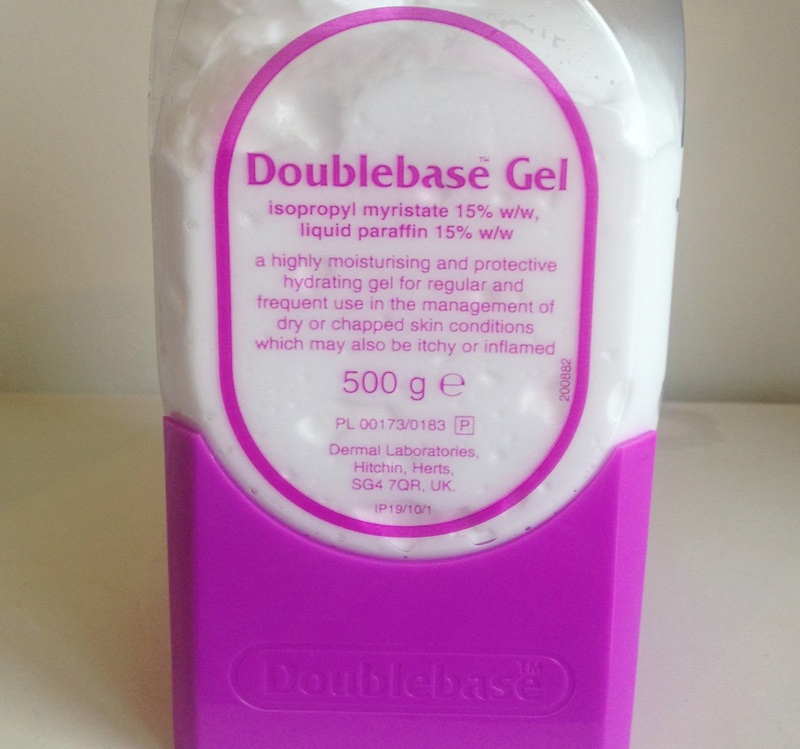 Doublebase can be applied directly to dry areas of skin as often as necessary. It can also be used before, during and after showering or having a bath as this helps to stop further drying of the skin. It contains the active ingredients liquid paraffin and isopropyl myristate which are emollients that rehydrate dry skin by helping it retain moisture. They replace skin oils and form a waterproof barrier on the skin surface preventing water loss. This moisturises and softens the skin underneath and prevents it from drying out. 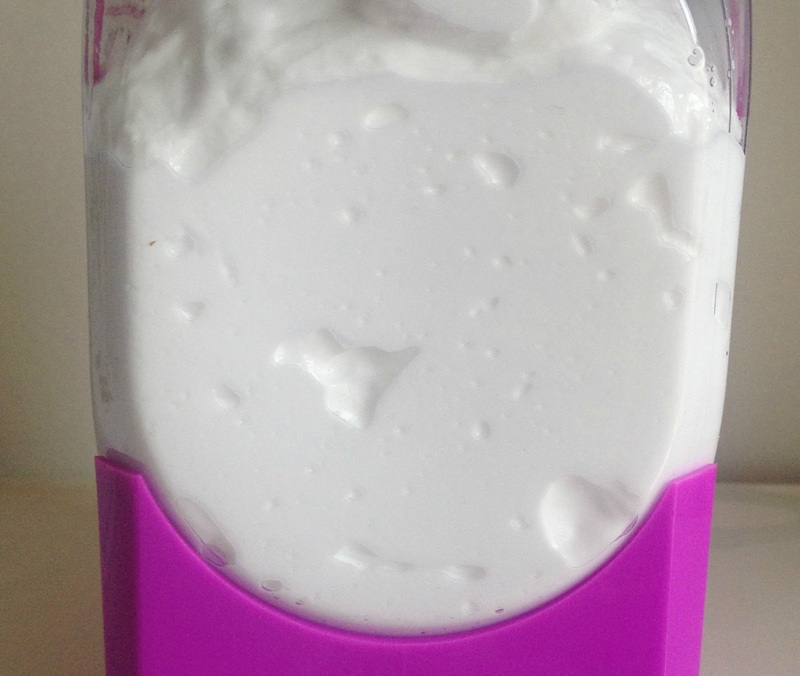 The inner child in me is constantly amused by the weird, jelly/mousse/foam/ice cream-like consistency the product displays in the bottle and how it wibble wobbles about like Flubber (from the film surprisingly titled 'Flubber'). When I first saw the product I did wonder why on earth it was described a gel when it looks like a bottle of some sort of weird whipped cream and foam hybrid, not like a gel at all. 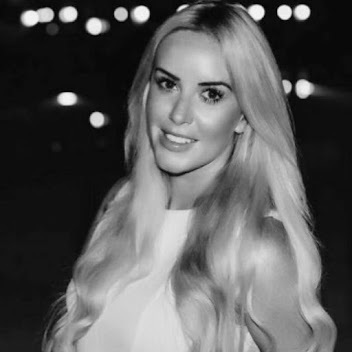 Once I actually dispensed some of the product onto my hand and rubbed it in I realised that whilst it comes out as a thick, bright white mousse as you rub it into the skin it quickly becomes completely absorbed, leaving behind absolutely no visible trace - no oily residue or feeling of heaviness on the skin. I have been applying this about three times a day and have found it leaves my arms feeling slightly cool (similar to applying an aftersun) and leaves your skin feeling intensely nourished, hydrated and comfortable whilst also looking and feeling instantly smoother, and I have found that the dry patches have all but vanished after just three days of use. I came to the very sad realisation that most of bath oils, bubble baths and shower gels were actually making the situation worse so when an email popped up in my inbox last week regarding the new Skin Salveation line for dry skin conditions I jumped at the chance to try the Skin Salveation Soap and have found that since using the soap on the backs of my arms the dryness immediately after bathing -when it is usually at its worst - is much less noticeable, my skin feels comforted not dry, tight and is much less scaly to the touch. 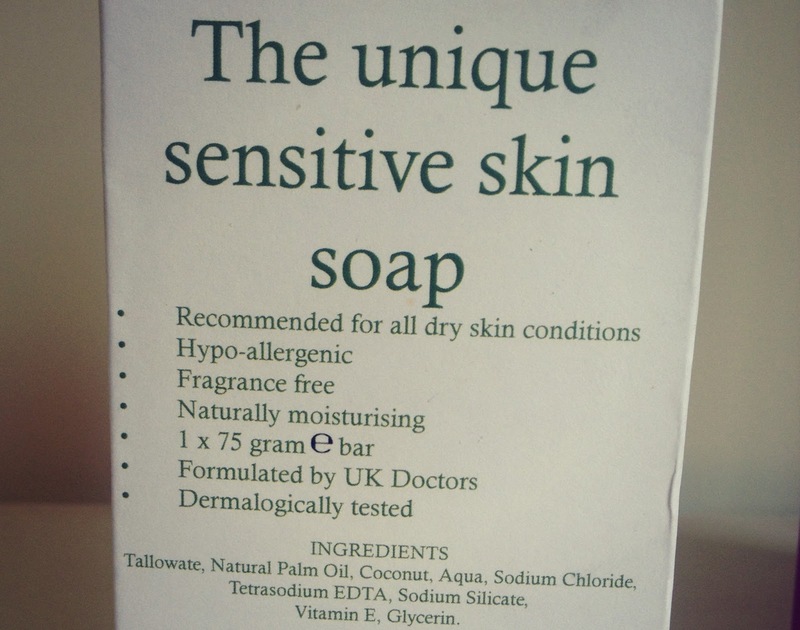 The soap contains a controlled amount of sodium silicate, a natural element known to heal damaged or dry itchy skin which is widely used in clinical preparations for that purpose and can be a tangible benefit to sufferers of those dry and itchy skin complaints. It contains no harsh cleansers or fragrances and its skin enriching quality greatly aids the process of repairing damaged skin helping to beat eczema and psoriasis and many other skin conditions, including dermatitis. 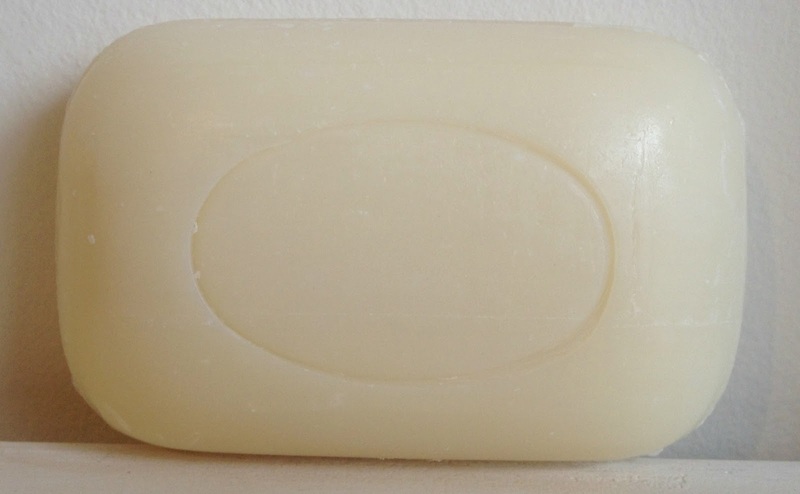 After washing as you would normally, wet the eczema treatment soap and emulsify to create a rich creamy lather, work into the dry areas and leave to dry on the skin. This creates a protective, non staining clear barrier, allowing the skin smoothing and softening process to occur. If you are suffering from a more severe condition than just a bit of dry skin then (so psoriasis or eczema) you can repeat the process two to three times per day. Tallowate, Natural Palm Oil, Coconut Oil, Aqua, Sodium Chloride, Tetrasodium EDTA, Vitamin E, Glycerin.